New Delhi: The department of telecommunications (DoT) has allowed state-run telecom service provider Bharat Sanchar Nigam Ltd (BSNL) to return broadband wireless access (BWA) spectrum in most parts of the country. “The department of telecom has in principle agreed to BSNL’s proposal of surrendering BWA spectrum in 13-14 circles," said R. Chandrashekhar, secretary, DoT. The technicalities are being discussed and a final decision will be taken in consultation with BSNL, he said. The telecom department has not decided if it should auction the spectrum being returned. “We are looking into it," said another DoT official, requesting anonymity. BSNL paid Rs10,186.58 crore for 3G spectrum and Rs8,314 crore for BWA spectrum, based on auction prices. The return of the spectrum could mean a refund of more than Rs8,000 crore to the money-losing BSNL as the telco has also sought some of the interest be paid to it. The technicalities being worked out include the effect the return of the spectrum will have on the common service centres of the government, which were set up as part of its e-governance initiative. The employees’ unions of BSNL have asked the government to refund more than the Rs8,300 crore paid for the spectrum. Senior BSNL officials estimated that the telco will report a loss of more than Rs6,000 crore in 2010-11 because of payments made for buying 3G and BWA spectrum and high employee costs. Interest income from its huge cash surplus partly helped the company report profit till fiscal 2008-09. It registered a loss of 1,823 crore in 2009-10. 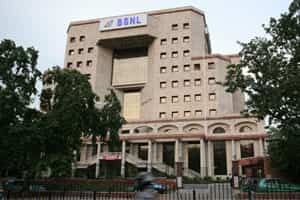 In the year to 31 March, the company’s cash and bank balance reached a critical level of Rs2,500 crore with a bank deposit of Rs840 crore and the rest in a current account being used for operational expenses, a senior BSNL official said. BSNL twice attempted the franchisee model to start wireless broadband services on the BWA spectrum, but failed amid allegations of irregularities in the tendering process. Separately, state-run Mahanagar Telephone Nigam Ltd (MTNL), which operates phone services in Delhi and Mumbai where BSNL doesn’t offer services, said it is considering leasing the land it owns to help it return to profit. “My priority will be to take the company out of losses. We will work out ways to convert liability into assets, which includes our huge land bank on which we are paying hefty taxes," said A.K. Garg, chairman and managing director of MTNL. Garg was appointed as chairman of the company last week. MTNL posted a loss of Rs346.47 crore in the year ended 31 March, against a profit of Rs34.73 crore in the year earlier. The firm is restructuring a Rs7,000 crore loan taken for buying 3G and BWA spectrum to pare borrowing costs.